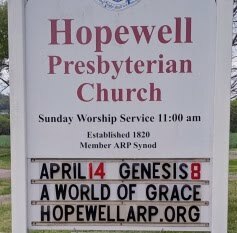 190209FW Genesis 4:6-24 - Getting Killed by Sin or Killing Sin by Grace? Questions for Littles: Who is speaking in John 8:31? To which Jews is He speaking? In what did they need to abide? What would this show about them? What would they then know (John 8:32a)? What would the truth that they know do for them? What do they claim about themselves in John 8:33? What are they mad that Jesus said to them? But what slavery was Jesus talking about (John 8:34)? What could a slave not do (John 8:35a)? Who can stay in a house forever (John 8:35b)? Who is it that John 8:36 now says is offering to make us free? How genuine is this freedom? What does Jesus say that He “knows” in John 8:37? What are they seeking to do? Why? What is Jesus speaking (John 8:38a)? What does He say that they are doing (John 8:38b)? Whom do they claim for their father in John 8:39? What does Jesus say that they would have done if they actually were Abraham’s children? But what does Jesus say that they are doing instead (John 8:40)? Now whom do they claim as a Father in John 8:41? What does Jesus say that they would do if God were their Father (John 8:42)? What does Jesus give as the reason that they do not understand Him (John 8:43)? Whom does Jesus now plainly say is their father (John 8:44)? What does he call the devil in the middle of John 8:44? What kind of speech does He point out is the devil’s natural speech? Of what else is the devil a father? What does Jesus give as the reason for their not believing Him (John 8:45)? What does He challenge them to do in John 8:46? What does He give as an explanation for their inability to hear Him (John 8:47)? Now what accusation do they make in John 8:48? Whom does Jesus say their problem truly is with (John 8:49-50)? What does Jesus promise to those who keep His Word (John 8:51)? How do the Jews respond to this (John 8:52-53)? What does Jesus proceed to say about Abraham’s opinion on the matter (John 8:54-56)? What do the Jews challenge back (John 8:57)? What claim does Jesus make in John 8:58? What do they unsuccessfully try to do in John 8:59? In the Gospel reading this week, we have an encounter with Jesus that sets us up nicely for our upcoming sermon in Genesis 4:6-15. Jesus is offering freedom from sin. Freedom from its mastery (whoever commits sin is a slave of sin). Freedom from its consequences (whoever keeps my Word will not taste death). Freedom from its presence (a welcome into the household of the holy God). But we do well to see how it is that these people—who are identified at the beginning of the reading as those who had believed in Him (!!! )—came to be unsuccessful would-be murderers of him by the end of the passage. They refused to see their sin. They claimed their church membership and family lines (we are children of Abraham!). They claimed a special understanding or relationship with God (we have one Father, even God!). But these claims were all so that they wouldn’t need to be freed by Jesus. If we are uncomfortable with the idea of desperately needing Jesus and having hope only in Him and not at all in ourselves, then we are in great spiritual danger. God Himself has become a man to save us! It is impossible that there could be salvation in any other way. So, unless we believe that Jesus is the Lord who created heaven and earth and who revealed Himself in the bush, we will most certainly perish in our sins! Who is Jesus? Why did He have to be fully God and fully man? What does this say about you? In the Scripture for this week’s sermon, we were reminded from where comes—and where is, and will always be!—the solid foundation for our hope: in God Himself. 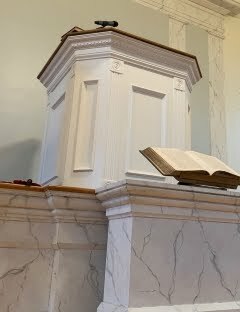 I think that if you listen today to the conversations of those who claim to be Christians, and observe what kind of books they read, and the kinds of comments that they make on social media, that you will conclude that there are many strange teachings that are designed to shake Christians up and rile Christians up over things that distract them from loving and obeying Christ. That’s not new. It was happening in Ephesus too. There were some who were being tossed to and fro by strange and alarmist teaching. There were even some who were preaching in the churches that they had missed the resurrection. And such idle babblings were distractions that were leading to ungodliness. So, what did such believers give their lives to doing? “Let everyone who names the name of Christ depart from iniquity.” They were pursuing sanctification. That holiness that they were sure that God would work in them, because without it they would not see the Lord. What are the ways that Jesus has given you to pursue holiness? What use of them do you make in your personal daily life? With your family? In the congregation?